Komet™ Amplification was born out of a small musical instrument repair shop in Baton Rouge, Louisiana. Holger Notzel and Michael Kennedy, both with many years of experience in repairing vintage amplifiers, opened Riverfront Music Repair in 1998. Riverfront Music has been one of the most trusted and respected repair shops dealing with vintage hand wired amplifiers and stringed instruments. Both were friends of Ken Fischer, one of the most legendary amplifier designers of all time. They eventually teamed up with Ken for a project that was to become the first Trainwreck® Engineered amplifier, the Komet 60. The Komet 60 has become a legendary amplifier seen on stages all over the world, and is still in production to this day. Each Komet amplifier is meticulously hand built in Baton Rouge, Louisiana, U.S.A. The greatest attention to detail is given to each product before it leaves our shop. Our transformers are of a custom proprietary design, and are also 100% made in the USA. Each amplifier is hand wired with silver tinned Teflon wire on glass-epoxy circuit boards. Our chassis are laser cut, welded aluminum — chosen for superior tonal response. We use 2 Watt, military grade potentiometers and assemble all of our amplifiers with stainless steel screws and bolts. Our control panels, capacitors and switches are of the absolute highest in quality. 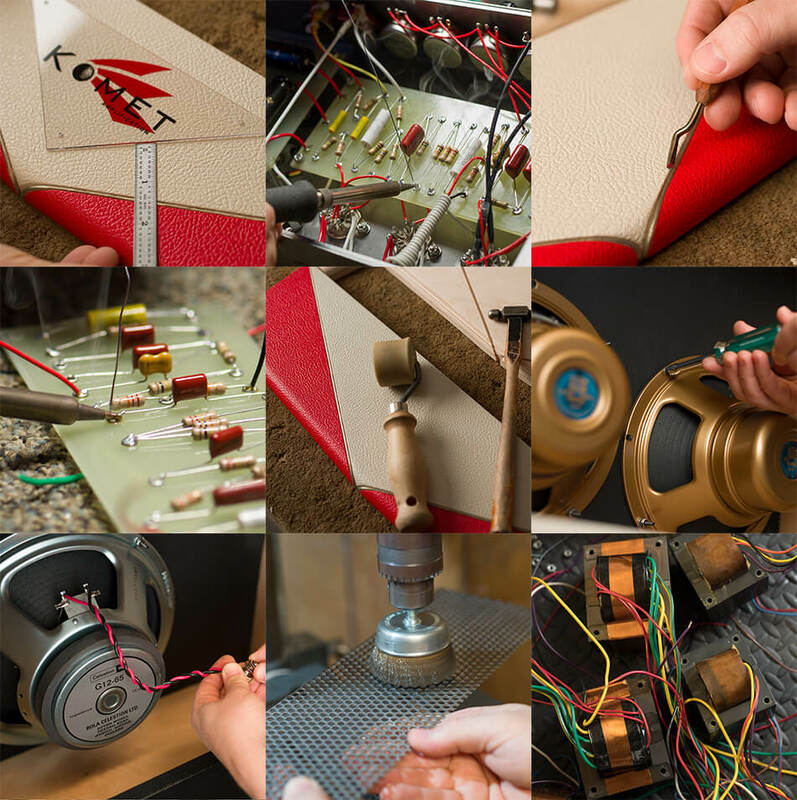 These are just a few of the details you will find in every single Komet amplifier.